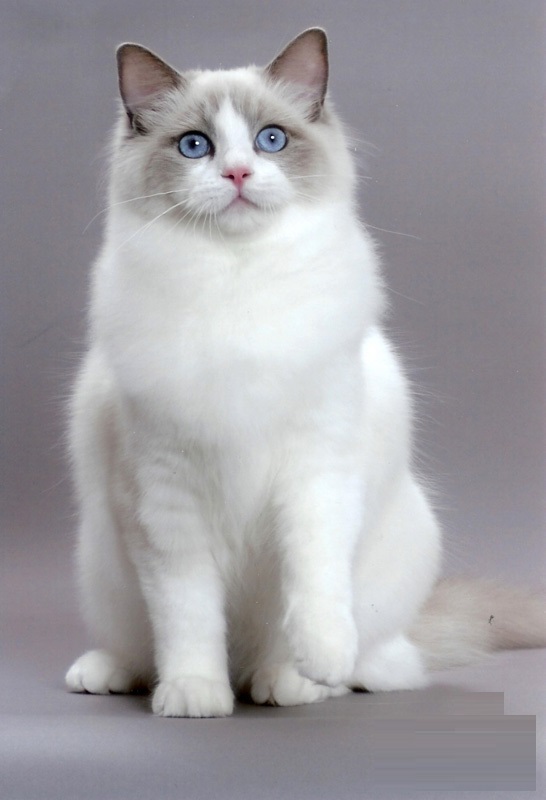 The Birmans are known to have originated in the country of Burma, now known as Myanmar. There is no clear history of this breed of cats and the earliest records of these cats depict them to be companions of the temple priests. The Birman cat was later on introduced to the world by France. There are a number of different theories regarding how the cat reached France, popular one being that of the cat being smuggled out of Burma. 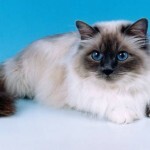 The Birman cat is a medium sized, intelligent species of cat which is very loving and friendly. 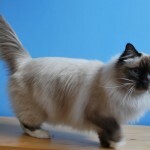 Strong and sturdy in appearance, Birman cats are gentle and well mannered, and they also get along incredibly well with both humans and other animals. 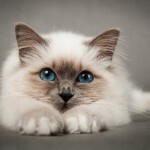 Birman cats prove to be ideal as pets and they can provide good companionship to children and adults. Traditionally known as the sacred cat of Burma, Birman cats are known to have provided companionship to humans throughout the ages. 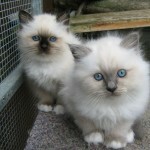 Birman cats are very helpful cats and provide companionship to a human across a number of daily household tasks. Soft mannered and gentle in nature, Birmans ensure that nobody feels lonely when they are around. It is advised to feed a Birman cat at least two to three meals a day, consisting of dental grade cat biscuits, raw chicken bones, cooked fish and chicken. Even grated cheese can be offered to the cat once in a while as a special treat. High quality canned and tinned foods are also fine to be included, but they must be used in rotation alongside healthy protein and cooked foods. The most suitable environment for Birmans is inside the home. If they are left to wander uncontrollably, they may get stolen or killed. Also, it is important and necessary to build a fenced a yard for them to feel the sunshine and fresh air. Also adequate water should be provided for them and they should also be shielded from adverse weather conditions. Birman cats are incredibly social. They are a hearty and lively species of cats, having a very good temperament. They get along very well with other cats, dogs and pets and also provide great companionship to humans as well. Birmans are gentle, loving and tolerant and prove to be excellent companions. They are quite energetic and playful and engage in a number of activities. They are quite desirous of attention and provide wonderful companionship to others around the house and across different household tasks. 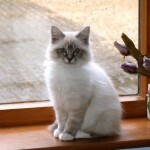 Birmans are well natured, have a good temperament and are extremely tolerant. They prove to be wonderful with kids as well as other animals. This makes them an ideal choice as a pet. 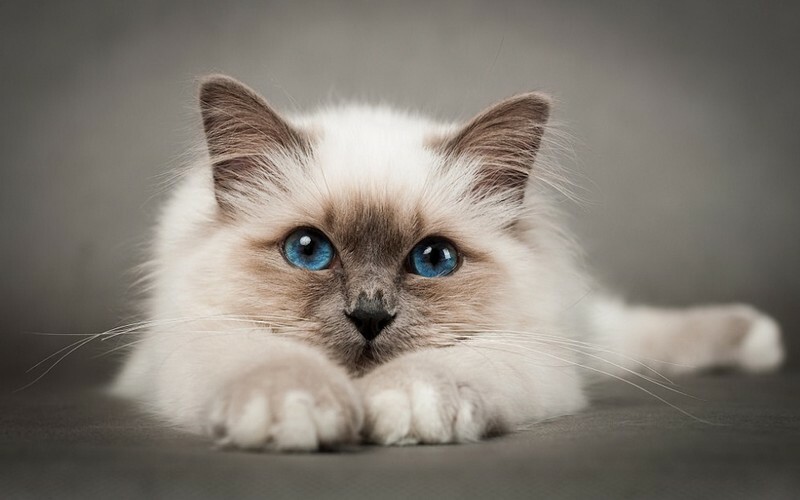 Birman cats are adorable pets. They are friendly, loving, tolerant and well behaved. They are extremely social and love being around humans and other animals. They are gentle and even tempered and very playful. They love seeking attention and their company entertains everybody around them. They prove to be wonderful companions and willing participants, following around and engaging in a number of activities around the house with humans. 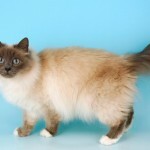 Birman cats are quite playful and energetic and they love being a part of the attention. While they prove to be ideal as apartment pets, they will move around and play about a lot. They are loving and gentle and are good around humans and children, following them wherever they go. However, care will need to be given to space requirements and exposure of the Birman cat to different social situations. 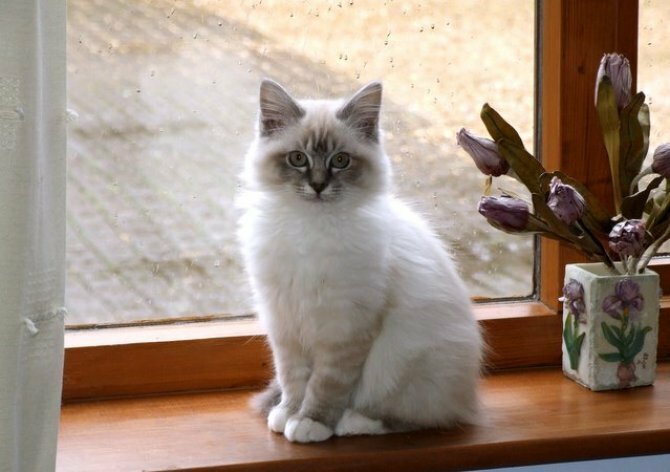 From the time of their birth till they attain the age of 6 months, Birmans fall within the kitten stage and they gradually grow till they reach the Junior stage which lies between months aand 2 years. At the Junior stage, they put on weight and are susceptible to several health problems. 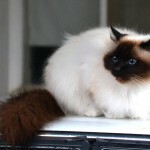 At the Prime stage (3 – 6 years), Birmans are keen hunters aand they need regular health-checks for diseases. Between the ages of 7 and 10 years, Birmaans enter the Mature stage where obesity may be a major problem if they are not subjected to proper medical checks. Finally at the Geriatric stage (15+), Birmans show signs of weakness as they approach the final stage of their lifecycle. Humans are the main predators of Birmans. A well-fenced yard with features to protect the cat from adverse weather conditions. Access to a veterinarian as Birmans require constant medical attention. Ensure you provide adequate for them and exercise them once in a while if you wish. 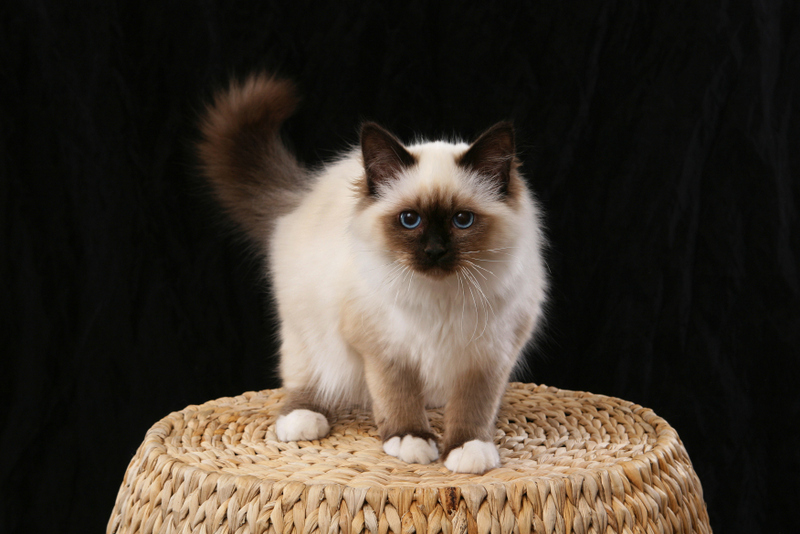 The Birman is a breed of cat of medium size, with a strong build. The face of the cat is rounded and it has a flat Roman nose and striking eyes. Overall, the species of cat looks quite pleasing and adorable. The Birman is a medium sized cat. Typically, the average weight of a Birman cat is about 8 kg and the average size of fully mature Birman cat is about 76 cm. 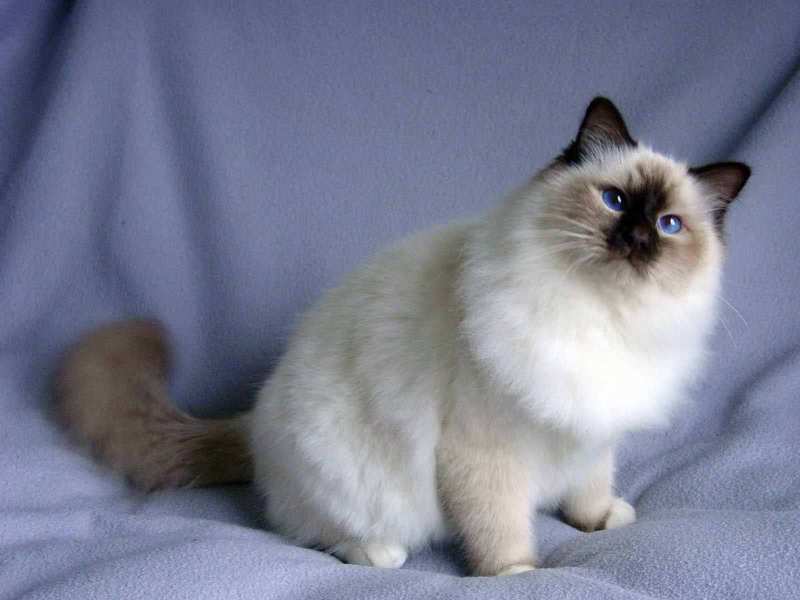 The fur of hair on a Birman cat consists of a single coat and it is silky, lush and soft in appearance. 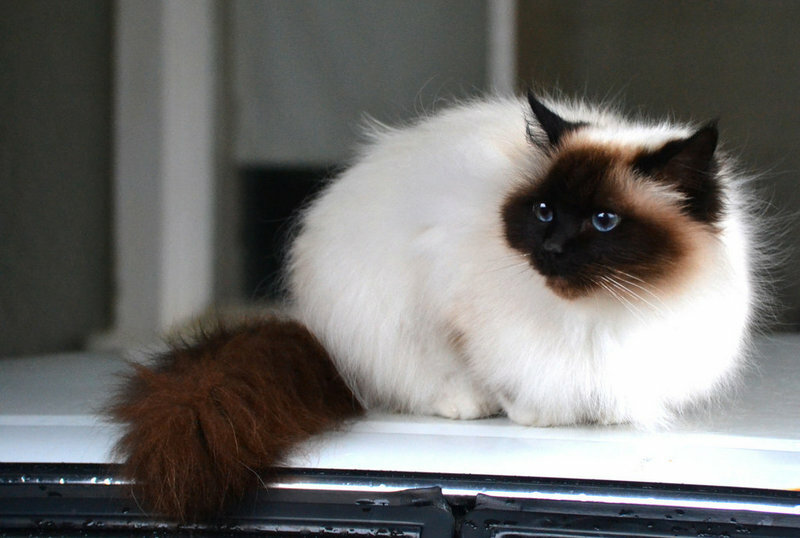 The tail of a Birman cat is incredibly fluffy and the fur around the neck or the ruff is longer than the rest of the fur. 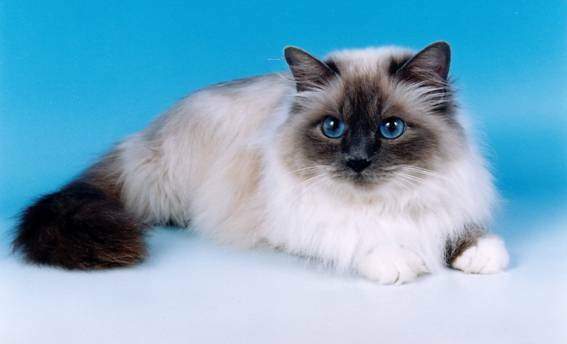 Typically, the color of the coat of a Birman cat may be black, brown, lilac, caramel or chocolate. Color patters are usually solid or of a lynx pattern. 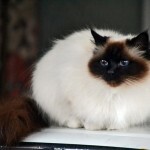 Birman cats are medium sized, strong and sturdy cats. 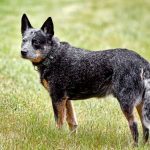 They are friendly, lively, energetic and agile and engage in a number of playful activities in and around the house, both with humans and with other animals. They undergo various stages in their lifecycle and can live for 20 years under healthy condition. 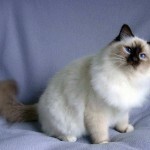 Birmans suffer severely from Feline hypertrophic cardiomyopathy (HCM). 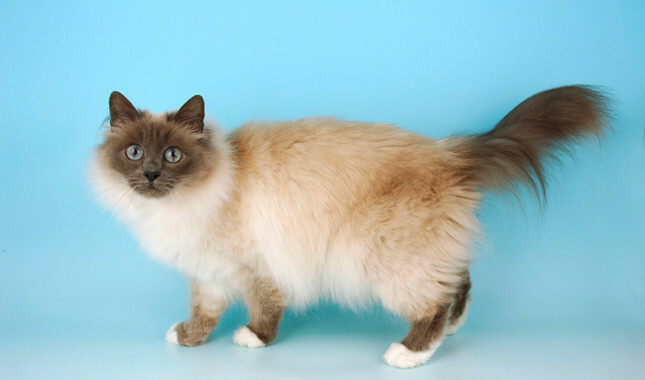 This is a heart disease that affects cats and Birmans are believed to inherit it as an autosomal dominant trait. This heart disease causes clot embolization which results in paralysis of the hind legs, heart failure and eventual death. 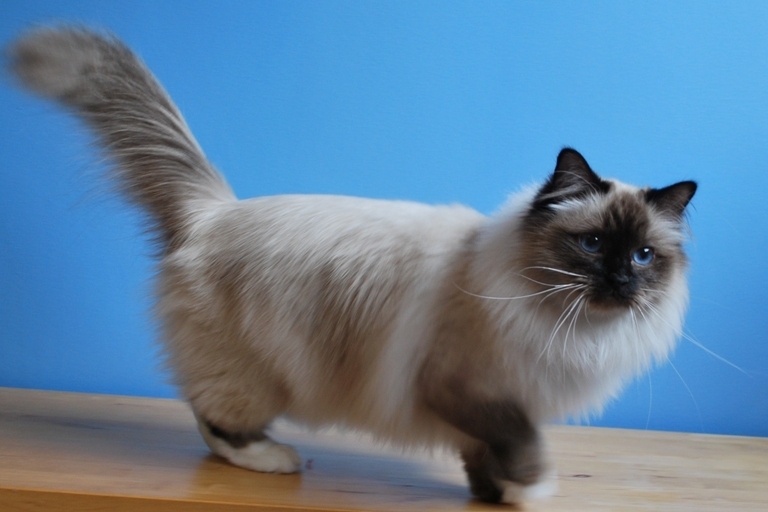 Birmans are incredibly easy to manage and they require little to no grooming. They do not shed their hair. However, taking care of a cat and providing neutering and spraying is recommended. Birmans have a good temperament and are healthy, hearty, energetic and lively. 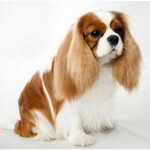 They require little grooming and they prove to be an ideal choice as a pet. However, owners will have to ensure neutering and spraying and also consulting a veterinarian in case of health issues with a Birman cat. Birmans do not shed much. 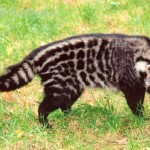 They shed their silky coats twice monthly and you are expected to brush them to prevent them from having skin diseases. They are generally intelligent and friendly species of cat. Birmans are good companions to humans. They feed on raw chicken bones. The best habitat for Birmans is inside the home. This species of cats are incredibly social. Birmans are known to be tolerant and well behaved. Generally, Birmans undergo six stages in their lifecycle namely Kitten, Junior, Prime, Mature, Senior and Geriatric stages. Their primary predator is man. Birmans require little or no exercise. They are medium-sized cats with a strong build. Birmans can live for 20 years. 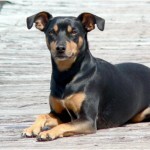 Generally, they suffer from Feline hypertrophic cardimyopathy (HCM). Birmans serve as good pets. They shed their silky coats twice monthly. 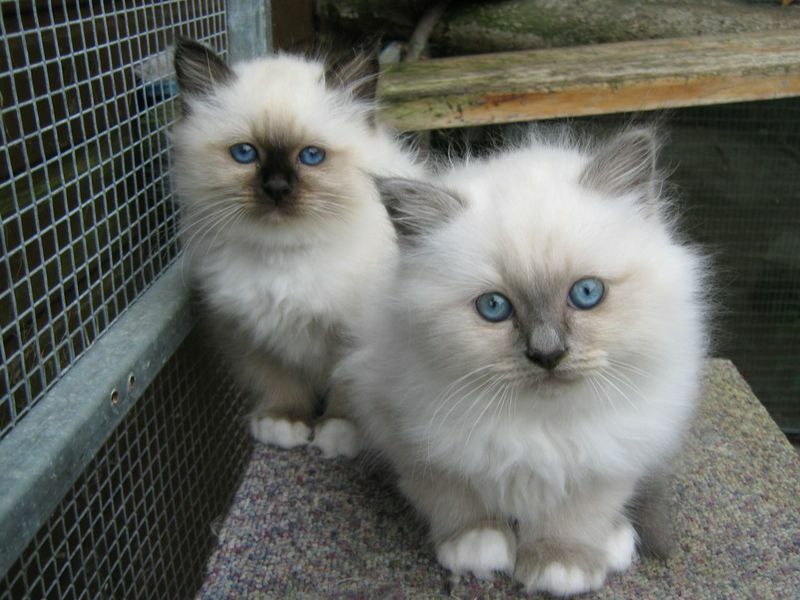 They are commonly called Birman. 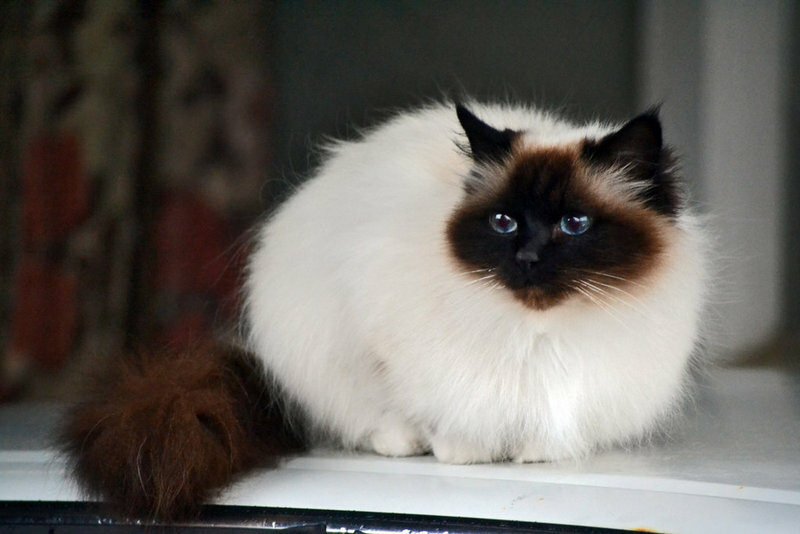 In some places, they are also called Sacred Birman or Sacred cat of Burma. They originate from Myanmar (Burma). 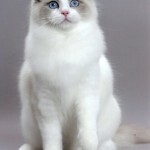 Birmans belong to domestic cat breed group (TICA, FIFE, CFA, ACF, CCA, ACFA/CAA). They can live for 20 years. 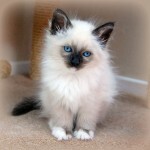 Generally, Birmans possess an average height of 76 cm. Their average weight is 8 kg. They come in different colors like black, brown, lilac, chocolate and caramel. The average price of Birmans lies between $400 and $800. They sleep for 8 – 10 hours daily. 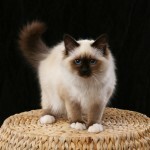 Birmans do not have lower species because they are believed to be one of the least genetically diverse breeds of cats.